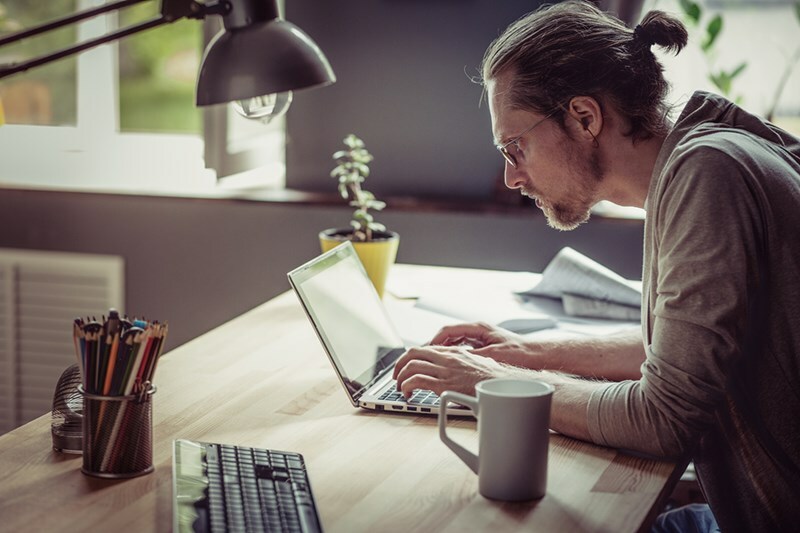 In today’s highly connected world, it’s probable that your leaders will be required to manage remote employees. I’ve previously written about how to build trust in a globally remote organization. In this article, I’ll look closer at specific strategies to motivate remote staff with a collaborative approach. Sometimes it is easy to lose sight of what is most important in any business: its people. Where you employ people remotely, this is even more likely. It’s difficult to ignore an onsite employee who has disconnected from work. You’ll notice mood swings, lower-quality work, and collapsing productivity. When this happens, you should employ strategies for keeping employees motivated. Of course, good leaders will motivate proactively, not reactively. When you employ people remotely, the need to be proactive is taken to another level. In an office, factory, or other workplace, your people are naturally connected. They meet colleagues, supervisors, and managers every day. There is a buzz of communication. Thoughts and ideas are exchanged and discussed. Coffees are consumed. Friendships are formed. Inspirational leaders will harness this vibrancy to create a collaborative community. Remote workers don’t have the benefit of this environmental motivation. To keep remote workers engaged, leaders must be extra proactive – and extra collaborative. Here are some tips to help you achieve this. Diarise regular communication with your remote employees. Keep them up to date with the progress made towards key milestones. Ensure that you get a little personal (within the bounds of cultural acceptability). What makes a person tick outside of work often makes them tick in their work. Discuss their work. Explore issues and concerns, and agree how to overcome these concerns. Show your remote employees that you value their contribution. Send a global email highlighting their results and impact on the organization. Get personal with rewards – you should know what is important to them outside of work, so use this knowledge to add value and reinforce that you care about them, not simply the work they produce. In effect, you’re engaging in a monthly SWOT analysis at a very personal level You’ll get to know your remote employees better, use their skills more appropriately, and exchange ideas to increase their productivity. Ensure that your remote employees understand exactly what is expected of them. This said, don’t strangle them with red tape and targets – after all, one attraction of working remotely is the degree of autonomy it allows. Be clear about your expectations and provide challenging but achievable targets. Understand that your remote employees will face hurdles. They will need the support to overcome these – whether it is help with processes, systems and procedures, or providing an emotional walking stick. Remote employees really are no different to those working shoulder to shoulder with you. Onboard these tips as you strategize to improve the ROI from your remote employees. Develop your corporate culture to embrace remote talent. Communicate regularly with your remote workers, and reinforce their value to you. Finally, provide plenty of opportunity for teamwork, and for all employees to ‘meet’ and foster the greater collaboration that will be the driver of continued success. Do your leaders understand your remote employees, and how to engage and inspire them? Contact Forward Focus today to discuss our Management Development Series, including our Energy Leadership Program, which helps develop high-performing managers into inspirational leaders.